Crashed on take-off at Goose Bay Air Base, Labrador and scrapped. 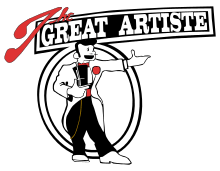 The Great Artiste was a U.S. Army Air Forces Silverplate B-29 bomber (B-29-40-MO 44-27353, Victor number 89), assigned to the 393d Bomb Squadron, 509th Composite Group. The name purportedly referred to the talents of the bombardier, Captain Kermit Beahan. It flew 12 training and practice missions in which it bombed Japanese-held Pacific islands and dropped pumpkin bombs on targets in Japan. It was the only aircraft to participate in both the bombing of Hiroshima and the bombing of Nagasaki, albeit as an observation aircraft on each mission. After the war ended it returned with the 509th Composite Group to Roswell Army Air Field, New Mexico. It was scrapped in September 1949 after being heavily damaged in an accident at Goose Bay Air Base, Labrador, the year before. Built at the Glenn L. Martin Aircraft Plant at Omaha, Nebraska, The Great Artiste (B-29-40-MO 44-27353) was a Silverplate B-29 Superfortress bomber. It was accepted by the Army Air Forces on 20 April 1945, and flown to Wendover Army Air Field, Utah, by its assigned crew C-15, commanded by First Lieutenant Charles D. Albury, in May. It departed Wendover for North Field, Tinian on 22 June. It was originally assigned Victor (unit-assigned identification) number 9, but on 1 August it was given the circle R tail markings of the 6th Bombardment Group as a security measure, and it had its Victor number changed to 89 to avoid misidentification with actual 6th Bombardment Group aircraft. Its nose art was painted after the Nagasaki mission. The name purportedly referred to the talents of the bombardier, Captain Kermit Beahan, with both the Norden bombsight and with women. In addition to its use on the nuclear bomb missions, The Great Artiste was flown by five different crews on 12 training and practice missions. It flew bombing missions against Rota on 4 July, Truk on 8 July, and Marcus on 9 July. It returned to bomb Rota again on 12 and 14 July, and bombed Guguan on 18 and 19 July. It was flown by Albury and crew C-15 on two combat missions, one of which was aborted, and the other in which it used a pumpkin bomb to attack the railroad yards at Kobe on 24 July. Captain Bob Lewis and crew B-9 flew it to drop a pumpkin bomb on an industrial target in Koriyama on 29 July. Flown by 393d commander, Major Charles W. Sweeney, it was assigned to the Hiroshima mission on 6 August 1945, as the blast measurement instrumentation aircraft. On the mission to bomb Nagasaki on 9 August 1945, it was to have been the aircraft carrying the bomb, but the mission schedule had been moved forward two days because of weather considerations, and the instrumentation had not yet been removed from the aircraft. To avoid delaying the mission, Sweeney traded airplanes with the crew of Bockscar to carry the Fat Man atomic bomb to Nagasaki. 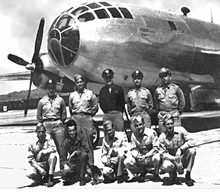 Captain Frederick C. Bock and his C-13 crew flew The Great Artiste to Nagasaki on its instrument support mission, and landed with it on Okinawa at the conclusion of the mission. It was the only aircraft to directly participate in both missions. Enola Gay, flown by Captain George Marquardt's Crew B-10, was the weather reconnaissance aircraft for Kokura, the primary target on the Nagasaki flight. Enola Gay reported clear skies over Kokura. In November 1945 it returned with the 509th Composite Group to Roswell Army Air Field, New Mexico, where it remained for the rest of its flying career, except for a brief period when it was assigned to Task Force 1.5 for Operation Crossroads nuclear tests at Bikini Atoll in July 1946. It returned to the 509th, now designated the 509th Bombardment Group, in September. On 3 September 1948, during a polar navigation training mission, it developed an engine problem after takeoff from Goose Bay Air Base, Labrador, and ran off the end of the runway when attempting to land. Heavily damaged, it never flew again, and was eventually scrapped at Goose Bay in September 1949, despite its historical significance. 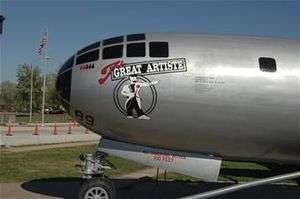 A representation of The Great Artiste is on static display at the "Spirit Gate" of Whiteman Air Force Base, Missouri, now home base of the 509th Operations Group. The aircraft, originally B-29 44-61671, which served as an SB-29 "Super Dumbo" rescue aircraft during the Korean War, was refurbished to depict The Great Artiste and moved to Whiteman after the closure of Pease Air Force Base in 1991. 1 2 3 4 5 Campbell 2005, pp. 184-185. ↑ Sweeney, Antonucci & Antonucci 1997, p. 111. ↑ Campbell 2005, pp. 28, 184-185. ↑ Sweeney, Antonucci & Antonucci 1997, p. 193. 1 2 Campbell 2005, pp. 50-51. ↑ Campbell 2005, p. 111. ↑ "Putting on a Shine". US Air Force. Retrieved 18 March 2013. ↑ Campbell 2005, pp. 141-142. ↑ Campbell 2005, pp. 157-158. ↑ Campbell 2005, pp. 138-139. ↑ "509th - The Los Alamos Scientific Team to Tinian - Project Alberta". The Manhattan Project Heritage Preservation Association. Retrieved 17 December 2014. Campbell, Richard H. (2005). The Silverplate Bombers: A History and Registry of the Enola Gay and Other B-29s Configured to Carry Atomic Bombs. Jefferson, N.C.: McFarland & Company. ISBN 0-7864-2139-8. OCLC 58554961. 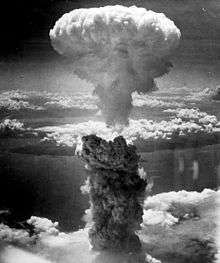 "Eyewitness account of atomic bombing over Nagasaki, by William Laurence, New York Times". Retrieved 18 March 2013. "Abe Spitzer Gallery". Manhattan Project Heritage Preservation Association. Retrieved 18 March 2013. Sergeant Spitzer was radio operator for crew C-15 and maintained a detailed diary of his recollections of missions flown from Tinian, including both atomic missions. This collection is of photostats of the original pages.